Holland & Hart partner Marcy Glenn has been selected as a Fellow of the American Academy of Appellate Lawyers (AAAL). Marcy is an extremely well-respected member of the appellate community. 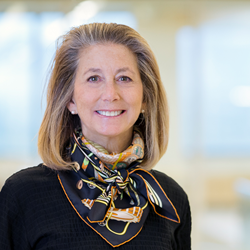 Holland & Hart partner Marcy Glenn has been selected as a Fellow of the American Academy of Appellate Lawyers (AAAL). Membership in the AAAL is by invitation only, limited to 500 members in the United States, and offered to experienced appellate attorneys who have demonstrated the highest excellence in appellate service and integrity. One of three Colorado members, Glenn was inducted at the AAAL’s 2017 Spring Meeting held April 6-8. The AAAL was founded in 1990 to recognize outstanding appellate lawyers and promote the improvement of appellate advocacy and the administration of appellate courts. Prospective members must be nominated by a current Fellow, vetted by the legal and judicial communities, and elected to the fellowship by the AAAL Board of Directors. Recognized as a leading appellate lawyer in Colorado and the Tenth Circuit, Glenn’s appellate practice covers a broad variety of substantive areas, including constitutional law, natural resources law, employment law, commercial litigation, environmental law, and intellectual property. Glenn has devoted decades of service to the courts and to the bar. She has chaired the Colorado Supreme Court's Standing Committee on the Colorado Rules of Professional Conduct since its creation in 2003. She is a former chair and current member of the Colorado Bar Association Ethics Committee, and a former chair of the Committee on Attorney Conduct of the United States District Court for the District of Colorado. Glenn was recently appointed to serve a one-year term on the Colorado Governor’s Board of Ethics. Celebrating the 70th anniversary of its founding in 1947, Holland & Hart is a full service, national law firm that today has more than 500 lawyers in 16 offices across eight states and in Washington, D.C. delivering integrated legal solutions to regional, national, and international clients of all sizes. Holland & Hart’s attorneys have consistently been recognized by leading national and international peer and industry review organizations for innovation and dedication to the practice of law. From start-ups to Fortune 500 companies, we serve clients in a diverse range of industries from energy and resources, to food and beverage, to technology, communications and media, and more. For more information, visit http://www.hollandhart.com or on Twitter: @HollandHart.